Three years ago, Thecla Scott was rocking out inside her Chick-fil-A restaurant in Jefferson, Louisiana. It was her first Cow Appreciation Day as a restaurant Team Member, and she had agreed to play the role of DJ. This year’s Cow Appreciation Day - happening on Tuesday, July 10th - will be a little bit different for Scott. 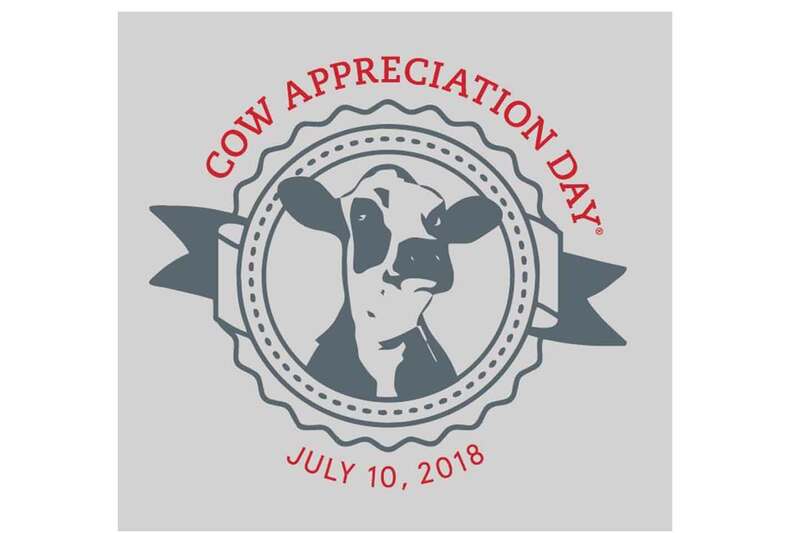 While the homemade cow costumes and free chicken will undoubtedly abound at restaurants nationwide, there is something else different that restaurant guests will notice: the official 2018 Cow Appreciation Day T-shirt that many Team Members will be wearing. Thecla was among dozens of Team Members nationwide to enter an annual Cow Appreciation Day T-shirt design contest, and she won. Now more than 40,000 of her fellow Team Members across the country will wear her design to celebrate the Cows. “It’s a humbling experience,” Thecla says. Cow Appreciation Day is the one day of the year when it’s okay to dress “udderly” crazy in exchange for free food, and a playful homage to the beloved bovines will be on full display in more than 2,300 Chick-fil-A restaurants nationwide. How Does Cow Appreciation Day Work? It’s easy! 1. Make or buy your cow costume. Any cow-related apparel will work! 2. 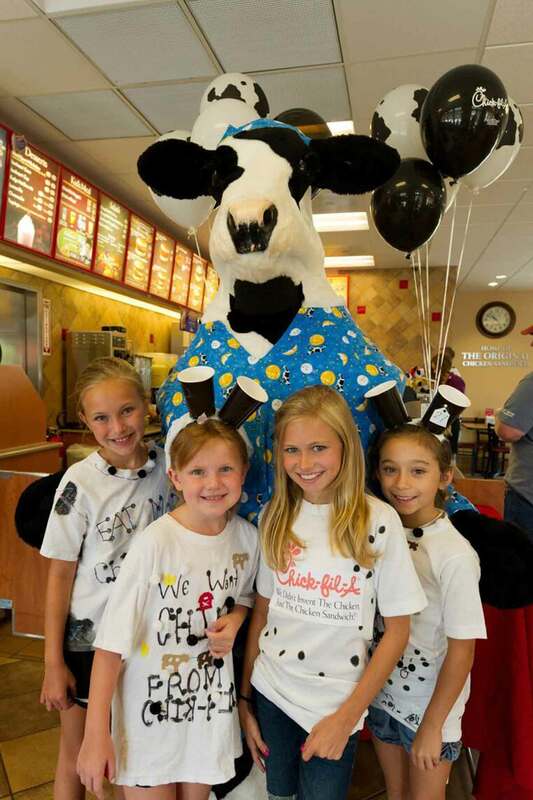 Wear your cow costume to your favorite Chick-fil-A restaurant between opening and 7 p.m.
3. Receive a free entrée! 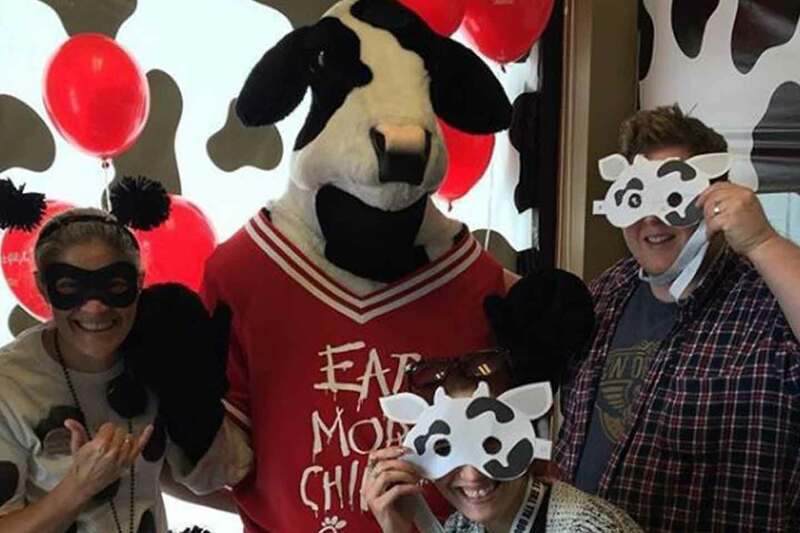 While the tradition of restaurant Team Members wearing special T-shirts is relatively new, the tradition of dressing up like a cow to earn free chicken started 14 years ago and has continued to build momentum. In 2017, more than 1.8 million people showed their love for the cows. After all, who doesn’t love free chicken? If you’re not able to go full-cow crazy, don’t worry. Anyone who visits a Chick-fil-A restaurant on July 10th, 2018 in any sort of cow apparel will get a free entrée. Back at the South Clearview Chick-fil-A in Jefferson, Scott and her team will be wearing her winning design, serving free chicken and loving every minute of it. “It’s really an amazing experience to see family and friends get together, dressed up, and enjoying food,“ she says.